In this lesson, we cover the basics of the use of WordPress navigation menus within the IDX Themes Framework environment. We cover creating menus, editing menus, defining menu location, nesting of menu items and adding custom links. WordPress menus are a powerful tool but can be rather complicated. In this video, we break down how to use WordPress navigation menus within the IDX Themes Framework environment. Before assigning menu items, be sure to create a menu and define a location. 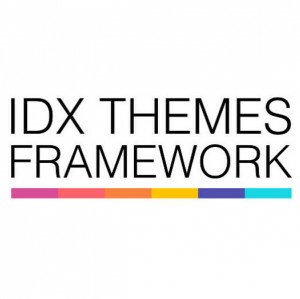 The IDX Themes Framework offers a variety of menu locations such as Top Menu, Primary Menu Area, and a Footer Menu for creating links to sitemaps, privacy policies, etc. This is not a full scope of WordPress navigation menus and all they are capable of. If you are looking for a full tutorial on WordPress menus, you can look at our other series WordPress for Real Estate Agents. There, you will find dedicated full feature tutorials regarding the functionality of WordPress navigation menus.